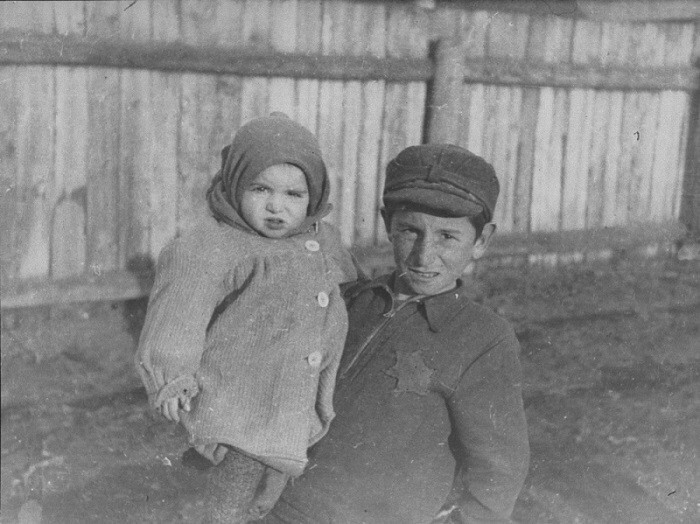 A young boy holding his younger brother in the Kovno ghetto. Older children frequently cared for younger siblings in the ghetto. Photographed by George Kadish. Kovno, Lithuania, 1941.